Pub and restaurant consultancy providing business management advice and solutions for operators in the hospitality sector. 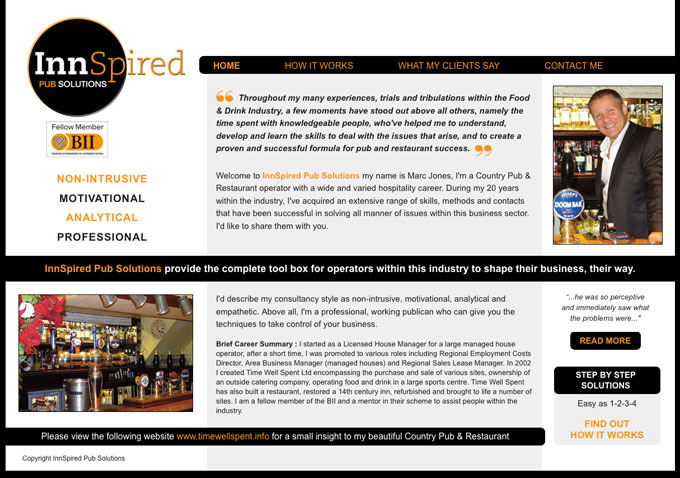 The client, who runs a successful Country Pub & Restaurant business in Surrey, requested a clean and professional looking website to showcase his new business venture as a pub and restaurant consultancy. We created a visual for the new site based on the client's logo and ideas. This was then passed to the client's graphic designer who provided input into the design, which we then incorporated into the website build.